Although Ecuador straddles the equator, the coastal waters and mountainous terrain keep the weather of this South American country in a comfortable range making it a perfect place to travel almost any time of the year. The mix of cultures, music, food and of course the beauty of the region is enough to make anyone fall in love, but if you are really trying to impress someone special, try these amazing places. Commonly referred to as simply Baños, the city is known as the gateway to the Amazon and is perched in the foothills above the Amazon Basin. The nearby Tungurahua volcano gives rise to the hot springs that give the city its name – Baths of Holy Water. In addition to the healing mineral baths, the city is a religious centre and a sculpture of the Virgin May is displayed in the cathedral, honoring her purported appearance at a nearby waterfall. 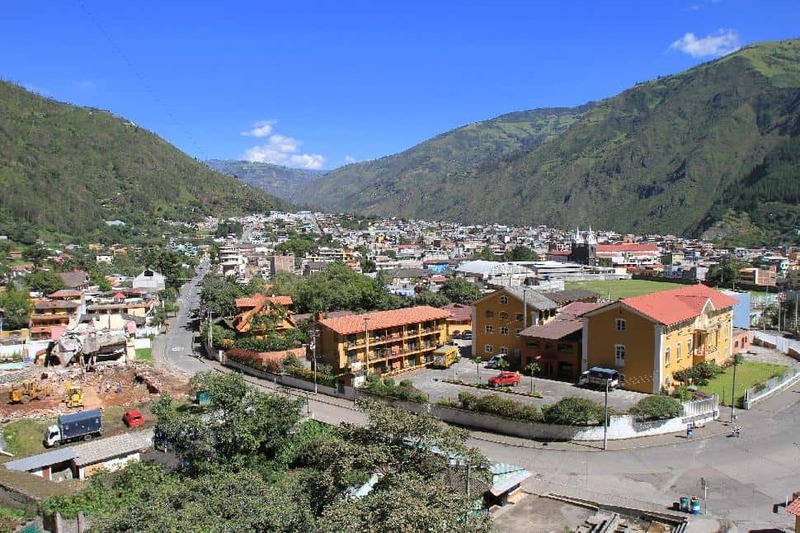 Despite the danger of living at the foot of an active volcano, Baños has a vibrant population and visitors who come to soak in the hot springs or hike through the unsurpassed beauty of the hills are treated like honored guests. You may be tempted to spend your visit soaking in the spas, but to really impress your partner you’ll want to take a trip out to the Pailon del Diablo Waterfall a short distance from town. A well-marked path takes you through orchids and hydrangeas to a suspension bridge near the edge of the waterfall. The “Cauldron of the Devil” is free to view from the bridge, but pay the small charge to reach firmer ground and get a bit closer to the action. In the middle of the lush Amazon rainforest, Tena is popular as a gateway to the jungle and is known as the cinnamon capital of Ecuador. It’s a destination town for backpackers and volunteers involved in reforestation projects as well as being known for promoting ecotourism. Indigenous peoples use the town as their commercial centre making shopping here an experience all its own. Jungle tours offer a rare chance to see the untouched Amazon rainforest a few km outside of town, but if you want him to really fall for you, look to the river. The Tena River joins another river before adding her waters to the mighty Amazon and the kayaking and rafting along this stretch of river is the best in Ecuador. Whitewater rafting trips range from a mildly exciting drift down the river to thrill-filled trips that will leave you charged with adrenalin for days. All of them include a view of the jungle that few people get to experience. Officially known as Santa Ana de los cuatro rios de Cuenca, the city centre is so filled with history that it’s been declared a World Heritage site. Although the region has been inhabited since 8060 BC, the oldest structures date from around 1550 AD when the Spanish settled the territory and began building. The four rivers that give the town its name are part of the Amazon watershed and add to the beauty of the town. The town itself is the attraction along with near-perfect temperatures year round. The 500 year old Old Cathedral is a Spanish-Baroque structure that is both simple and charming. The town quickly outgrew the small building and started the New Cathedral in 1885. Work didn’t complete until 1975 and the building is a fabulous mix of Romanesque, Neo=Gothic and Byzantine revival styles. Wander the other old temples to God in town before heading out to El Cajas, a peaceful national park that the townsfolk describe as a temple to nature. Quilotoa is a caldera filled with greenish coloured water and sporting a few steaming fumaroles on the lake floor. The lake is pretty enough and easily circled in a four to five hour hike. Trek is fairly taxing and steep, and the entire thing is about 3,900 m above sea level. A hike around the crater would be fun, but to add that romantic edge to the trip, plan on what’s become known as the Quilotoa Loop. This is a journey that will introduce you to the indigenous people of the Andes, staying in homes and locally run hostels while arranging bus, cab or even friendly neighbour transportation between mountain villages. It’s gritty, unpredictable, and an adventure that will bring the two of you closer together with memories that will last a lifetime.